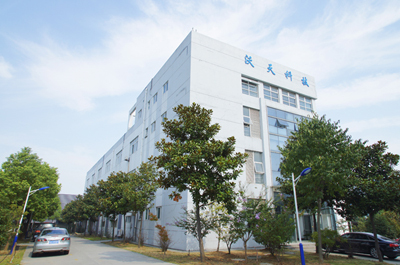 Nanjing Wotian Technology Co., Ltd. was established in 2005, specializing in the production of pressure sensors. It is the leading domestic manufacturer of pressure sensors, with existing staff 260. The annual production of pressure sensors is more than 1.5 million. The products have been exported to more than 70 countries and regions. The company has factories in Nanjing and Anshan, and is headquartered in the scenic Jiulong Lake International Headquarters Base in Nanjing. The foreign trade team is located in Shenyang, the center of Northeast Heavy Industry Base. "Creating value for customers" is the goal pursued by the enterprise all the time. As the leader in the domestic pressure sensor industry, Wotian will take the revitalization of the pressure sensor cause in China as its own task, be cautious and conscientious, work steadily, strive to make the pressure sensor perfect and provide the customers with the extremely cost-effective sensors. The idea of "continuous improvement" is deeply rooted in our mind, and "lean thinking" will act as the fundamental idea of management for the production. Wotian people believe in dreams, integrity, honesty and kindness. We will "be responsible for the trust", become a conscientious enterprise, and make our contribution for the social progress and people's happiness. Nanjing Wotian Technology Co., Ltd. has obtained ISO9001-2015 Quality Management System Certification, TS16949 Certification for the automobile industry etc.